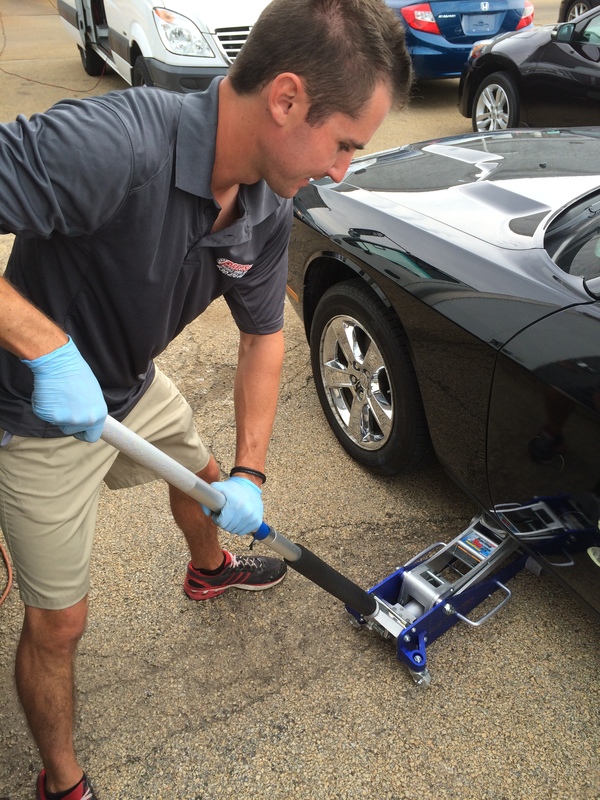 What is Precision Mobile Wheel Repair? 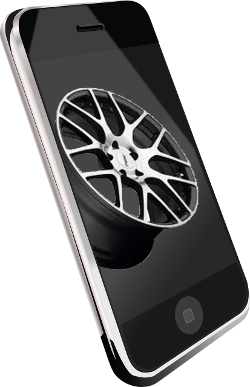 PMWR is a company that will come to you at home or place of business and refinish or straighten your damaged alloy wheels/rims. Includes servicing dealerships. 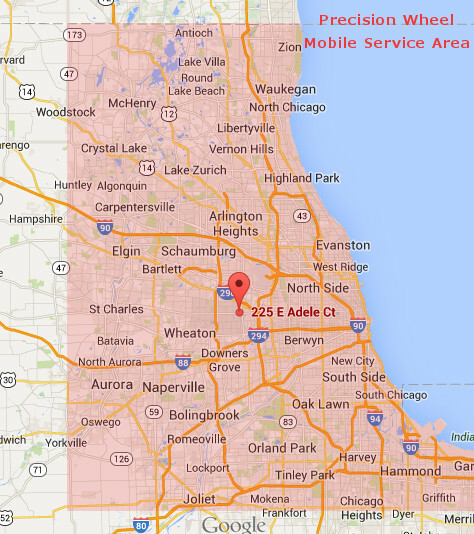 What should I expect when Precision comes to my home or place of work?  Step 1 – Technicians arrive at your destination as specified with the appointment. We assess the damage and walk you through the process. 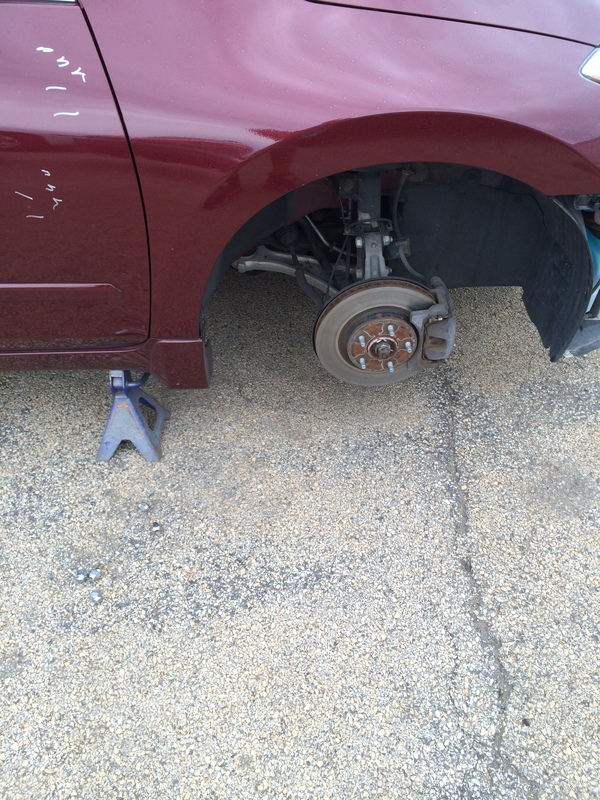 Step 2 – We begin work by raising your vehicle for rim removal. Step 3 – Our technicians carefully remove the damaged rims for repair work. We recondition your wheels based on your specifications. Rims are removed and the repairs are done inside the climate controlled repair truck. 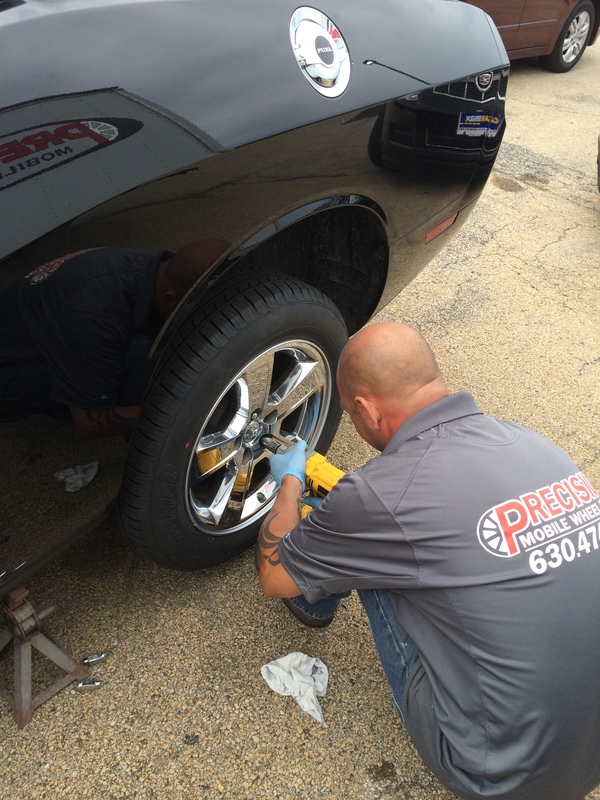 Step 4 – Within two hours or less, your rims are repaired to factory specs or customized in our specialty truck! Our technicians then carefully replace all the rims. THE FINAL PRODUCT! Wheels are repaired, refinished and replaced. What's your process for repair? What car brand wheels do you repair? How far do you travel for wheel service? No, we only repair the alloy rim/wheel. Do you repair steel wheels? 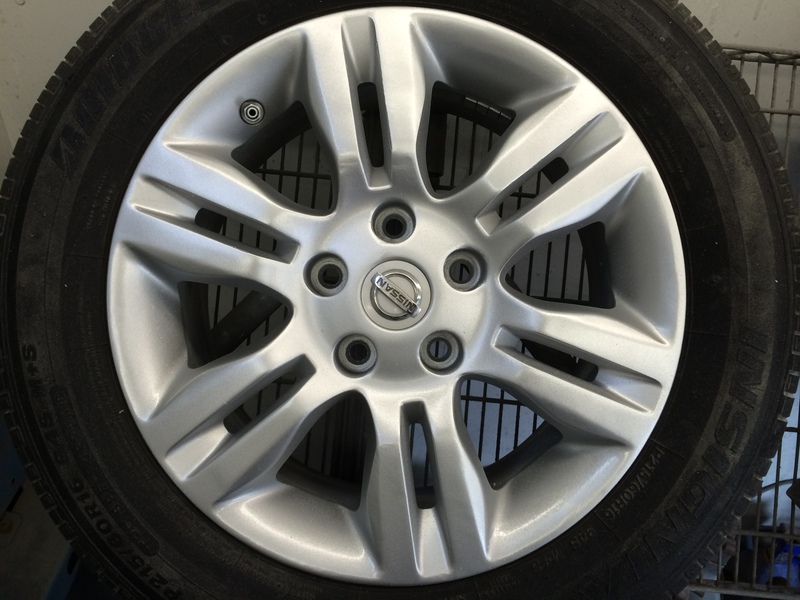 We paint and straighten steel wheels; we can also replace steel wheels. Can you fix my bent wheel? 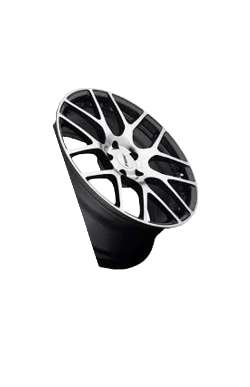 Yes, we have the equipment to repair bent alloy wheels where you are. Do you repair chrome wheels? 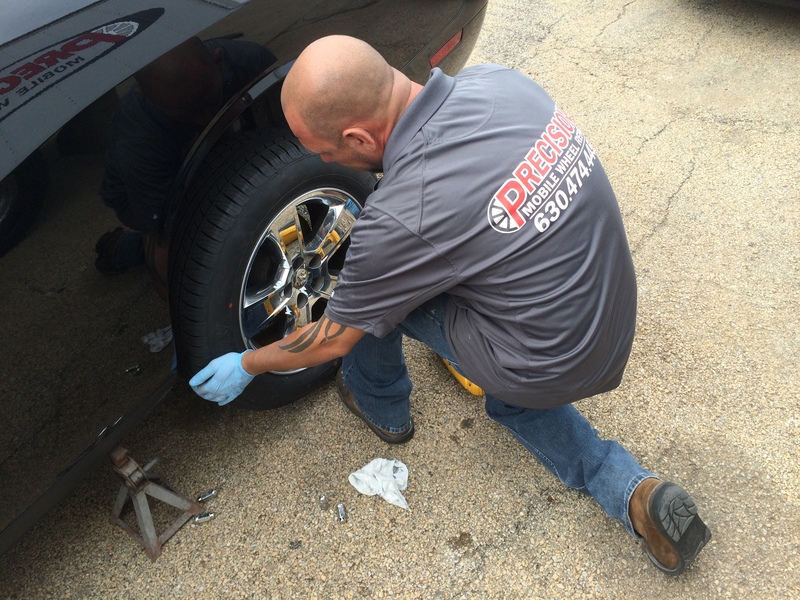 We do repair chrome clad wheels with medium to light damage. Send us a picture of your worst wheel for a quote! 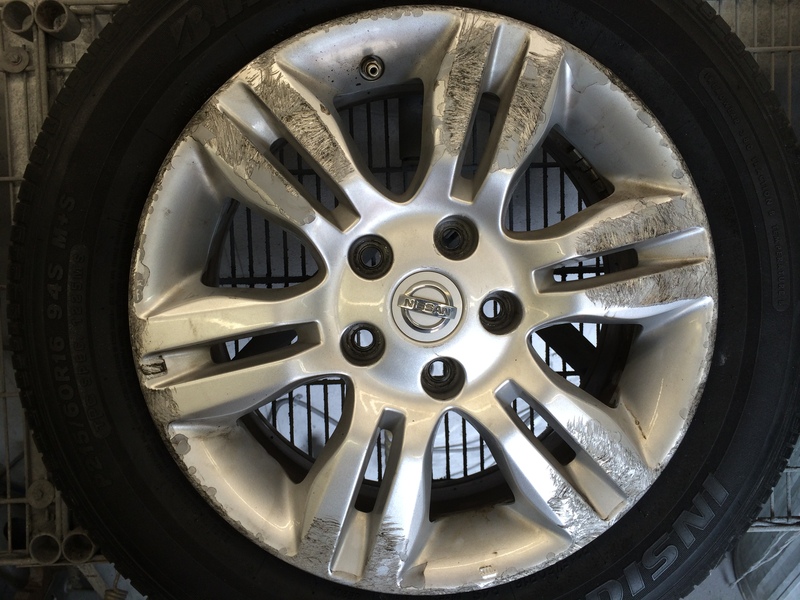 My wheels are corroded or peeling, can you repair that? Yes, however some corroded or peeling wheels will need to be re-manufactured. This can take up to two-days. Send us a picture of your worst wheel for a quote!